Travel delightfully backwards in time with Ensemble San Francisco, “a hip, unstuffy, and malleable group of high-quality chamber musicians” [San Francisco Classical Voice]! 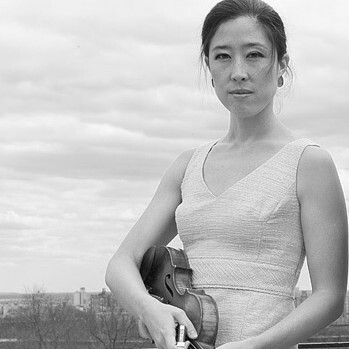 The program begins with a nine-minute modern piano quartet by Solbong Kim, a composer who “defies categorization and speaks a musical language that is modern yet non-doctrinal” [Korea Times]. Next, moving to the turn of the 20th Century, is Erno Dohnanyi’s String Trio, a jam-packed, five-movement work that covers an incredible spectrum of sounds in a mere 21 minutes. Following is Liszt’s most known transcriptions of Robert Schumann’s Widmung Song for solo piano, with elegant virtuosic flourishes accompanying the original hypnotic melody. The program ends in 1842 with Schumann’s Piano Quartet, home to a most glorious slow movement ever conceived! Although the music in this concert spans 162 years, each work takes listeners on a sublime journey of introspection and celebration.